Nintendo has announced the NES Classic Edition. 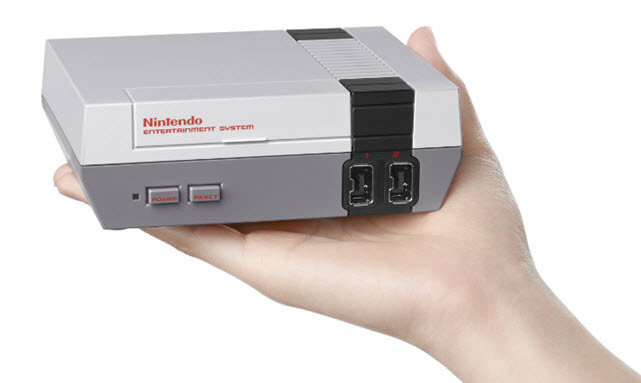 The mini version of Nintendo's original home console will arrive in stores on November 11. It will cost $59.99. The NES Classic will connect to your HDTV through the included HDMI cable. NES Classic Edition comes with 30 games built-in to the console. These include Super Mario Bros., The Legend of Zelda, Donkey Kong, Kirby's Adventure, Castlevania, Punch-Out and Pac-Man. Nintendo of America President and COO Reggie Fils-Aime says in the announcement, "We wanted to give fans of all ages the opportunity to revisit Nintendo’s original system and rediscover why they fell in love with Nintendo in the first place. The Nintendo Entertainment System: NES Classic Edition is ideal for anyone who remembers playing the NES, or who wants to pass on those nostalgic memories to the next generation of gamers." 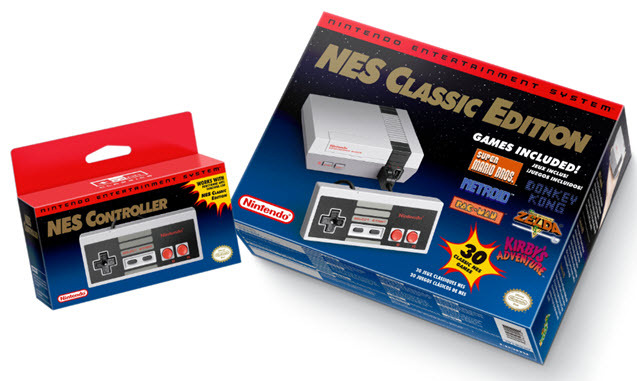 The system comes with the NES Classic console, HDMI cable, AC adapter and NES Classic Controller. The controller is patterned after the original NES controller. You can find a complete list of the game titles on the NES Classic site.